The first images of the new device have also leaked. The phone will be available in three colours- Clearly White, Just Black, and Not Pink. Google Pixel 3 and Pixel 3 XL come with 12-megapixel camera with autofocus, dual pixel phase detection, OIS, EIS, f/1.8 aperture. On Tuesday morning, Google will unveil a new slate of devices, including the latest Pixel smartphones. The event will begin at 11am EST (8:30pm IST). 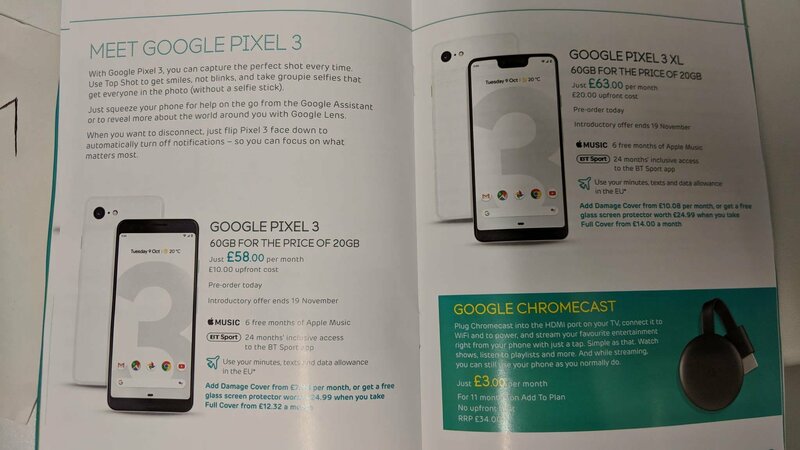 Moreover, in another leak by a tipster through ChromeUnboxed, a picture of the Blue-coloured Pixel Pen that additionally shows up on the past report can be spotted. On the pricing front, the new Pixel 3 XL is expected to be priced at $649 (around Rs 48,000) while the XL version is likely to be premium by $100 more at $749 (around Rs 56,000). The Pixel 3 XL will also come with the same camera features and will have two storage options- 64GB/128GB. Google has added wireless charging to the Pixel 3 as well, which is compatible with its new Pixel Stand. Google is beating Apple to releasing a wireless charger. The Pixel 3 and Pixel 3 XL will undoubtedly be the stars of the show on Tuesday. The phone is powered with the Snapdragon 845 which has been used extensively this year by flagship devices and has 4GB of RAM, which is low by current flagship standards. There could be features such as a dedicated Portrait mode and some selfie-focused improvements. The Pixel Slate will be presented together with the Pixel 3 smartphones on the evening of October 9th. We can't say this will be the case for the regular Pixel 3, but the XL model will get dual front cameras, which is perhaps the reason behind the deep notch as well. There is no 3.5mm audio jack on the device. Tomorrow is the big day: the 2018 Google hardware event, where the company will launch the Google Pixel 3, the Google Pixel 3 XL, a new Chromecast, the Pixel Slate, and other assorted products. All four devices has been leaked in the recent past, however, we can't be sure that all will be launched at tonight's event.